This is a gravity low feeder for chicken. 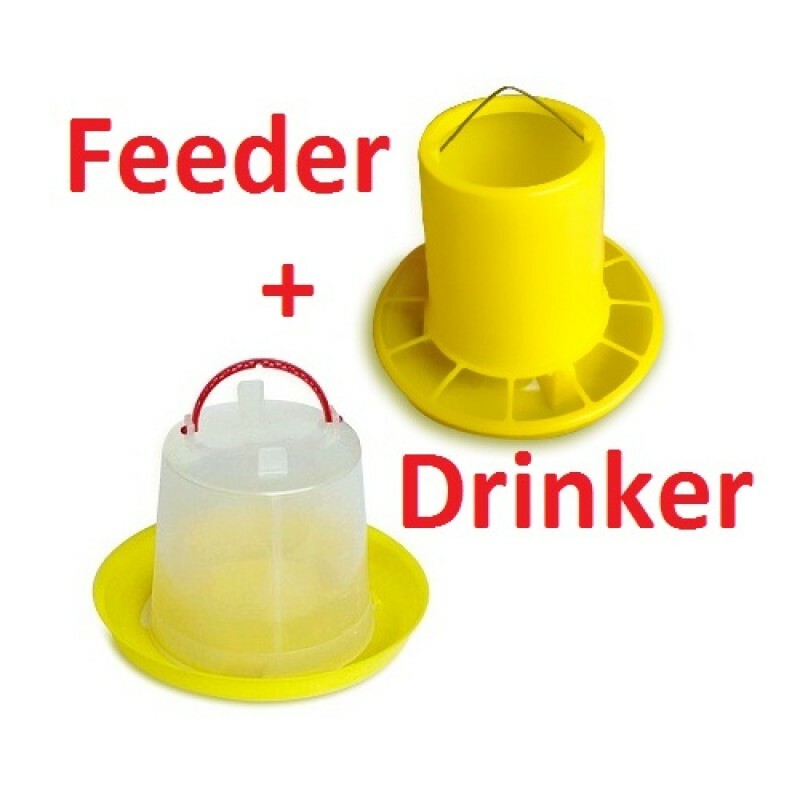 The chicken feeder encourages a healthier feeding! 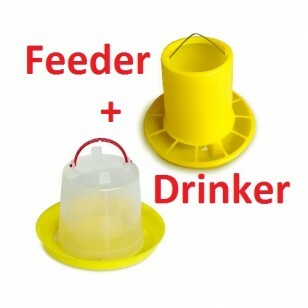 The plastic feeder will help you minimize waste and save you money. Circular in design is great for small groups of chicken to be feed together. The perfect design is allowed to be placed either stand on the ground or hung within the chicken coops or pens. 3kg food can be held in the chicken feeder and this will allow the chicken be feed long-lasting and more efficient. 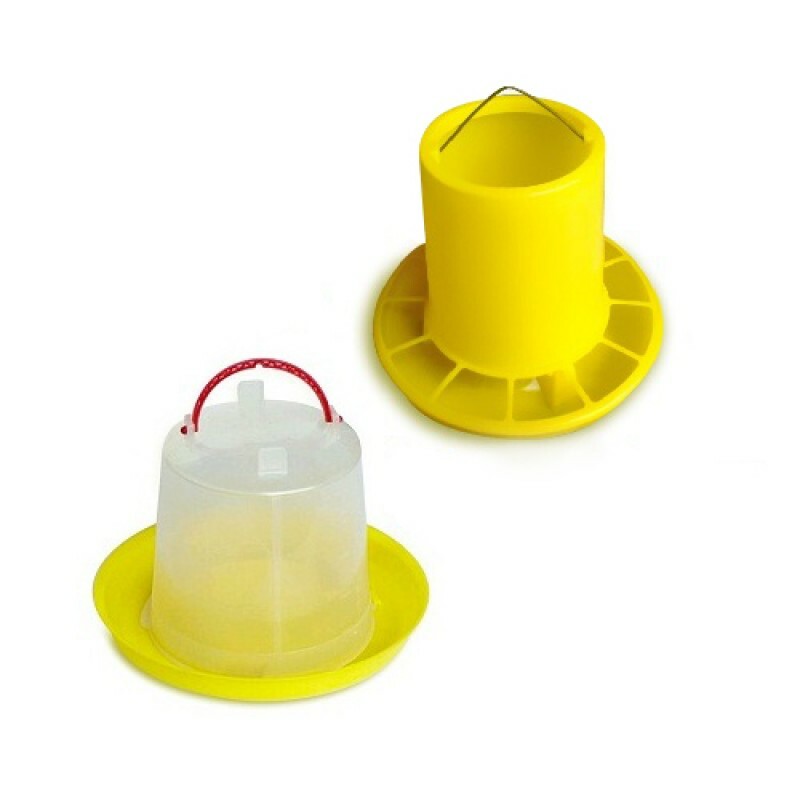 With this chicken feeder, most of the common poultry feeder problems can be solved. Tired of worrying about the chicken drinker being tripped over? This new hanging chicken drinker which is made from strong plastic and with twist lock base will reduce such problem. The chicken drinker is Circular in design for chicken. It’s convenient for chicken to drink water from any direction, especially for a small group to drink together. The perfect design is allowed to be placed within most of the chicken coops or pens, on the ground or hung in the air. The chicken drinker has a transparent tank to enable you to quickly view the water level. With the capacity of 4 L, you don’t need to fill it all the time. Just change the water 2 or 3 day to ensure the health of chicken.